To master the fundamentals of image registration, there is no more comprehensive source than 2-D and 3-D Image Registration. In addition to delving into the relevant theories of image registration, the author presents their underlying algorithms. You'll also discover cutting-edge techniques to use in remote sensing, industrial, and medical applications. Examples of image registration are presented throughout, and the companion Web site contains all the images used in the book and provides links to software and algorithms discussed in the text, allowing you to reproduce the results in the text and develop images for your own research needs. 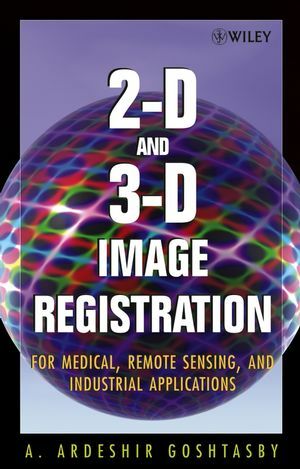 2-D and 3-D Image Registration serves as an excellent textbook for classes in image registration as well as an invaluable working resource. A. ARDESHIR GOSHTASBY, PHD, is a professor in the department of computer science and engineering at Wright State University. Dr. Goshtasby has been developing solutions to image registration problems since 1983 and has numerous publications to his credit.